The Cassini visual and infrared mapping spectrometer (VIMS) investigation is a multidisciplinary study of the Saturnian system. Visual and near-infrared imaging spectroscopy and high-speed spectrophotometry are the observational techniques. The scope of the investigation includes the rings, the surfaces of the icy satellites and Titan, and the atmospheres of Saturn and Titan. 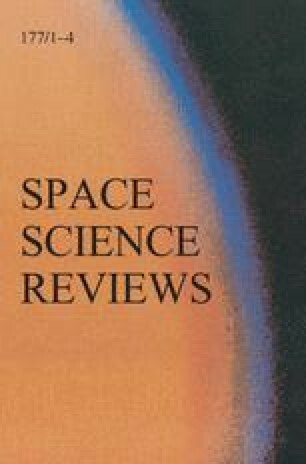 In this paper, we will elucidate the major scientific and measurement goals of the investigation, the major characteristics of the Cassini VIMS instrument, the instrument calibration, and operation, and the results of the recent Cassini flybys of Venus and the Earth–Moon system. 1.Department of Planetary SciencesUniversity of ArizonaTucsonU.S.A.